I didn’t discover poetry until the summer before my fourth year of university, and as soon as I did I wished I had discovered it sooner. When poetry clicks with a reader or a listener, it clicks more loudly and with much more conviction than any other type of literature. More than essays, more than memoirs, more than stories or novels, poetry can find the shortest and fastest route to the core of a reader, and it can settle there: it can make itself at home flipping through your entire existence, providing solidarity, providing perspective, providing hope. Still, I’ll be among the first to admit that finding the poetry that clicks for you can feel exhausting–or close to impossible. There’s an astonishing amount of poetry out there, and not a lot of discussion around it, which can make it hard to even find a place to start. In this post, I’ve rounded up 18 collections of poetry that I think capture everything that can make poetry downright magical. 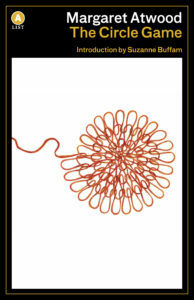 Specifically, I have collected these titles because I think they might make a great introduction to poetry for a high school student or non-poetry reader, although I can’t vouch that they would all necessarily be classroom-appropriate; some tackle difficult subjects in a with language and an approach that might be controversial. For a collection of titles to use in the classroom or in a school library display, check out this slightly abridged list! These books of poetry make me think of a quote I sometimes see floating around the internet: “Be the person you needed when you were younger.” They are reassuring, but not always kind; they know your hard truths and face them, head on; they are unapologetic; they are unafraid and want you to feel the same; they face chaos, loss, uncertainty, pressure, failure. Or they are a perfect departure from already-beloved culture: a complement to art, language, and style. Most of all, they are all different, because no one book will be the book that clicks for everyone. At once laugh-out-loud funny and achingly real in a yes-I-also-have-no-idea-what-I’m-doing-here way, Slouching the Dream is everything you don’t expect poetry to be, because it is poetry about everything. About love, about wrestling, about Bigfoot, about heartbreak, about tattoos, about the future, about loss, about ghosts, about heavy metal. 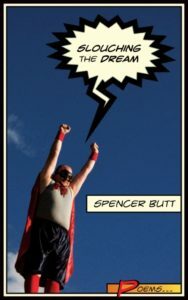 I really think Slouching the Dream is an anyone book of poetry. In fact, I dare you not to like it. Just try. 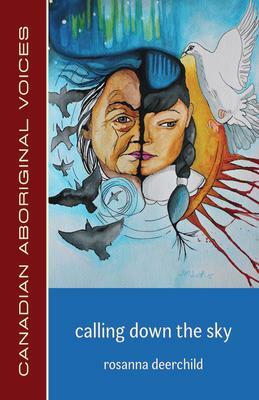 calling down the sky is a poetry collection that describes deep personal experiences and post generational effects of the Canadian Aboriginal Residential School confinements in the 1950’s when thousands of First Nations, Métis, and Inuit children were placed in these schools against their parents’ wishes. deerchild’s clear, brisk poetry makes this traumatizing and important piece of history personal and intense for the reader, a stark opposition to the cool, distanced kind of learning that takes place in the classroom. 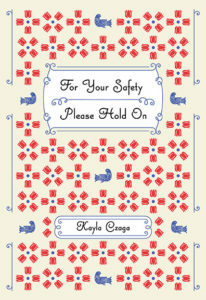 Kayla Czaga’s poetry is compulsively readable. I read it like I would read my favourite novel: quickly but desperately, lapping up every detail, every quirk, and relishing the way it all washes over me. The poems–about family, girlhood, adulthood and everything in between–are concise in a way that make them easy to sit down with and difficult to step away from. 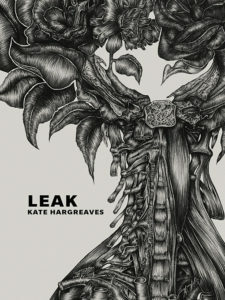 This book merges poetry and art to form a stunning poetic graphic novel. David Brame’s beautiful full-colour illustrations bring Lishai’s poetry to life, drawing the reader into stories about immigration, love, solidarity, art, and much more. The added dimension to the poems complements Lishai’s work perfectly, which she originally crafts in the lens of spoken word and performance. 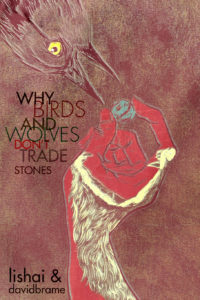 This is another book of poetry that would be great for someone who already loves reading. 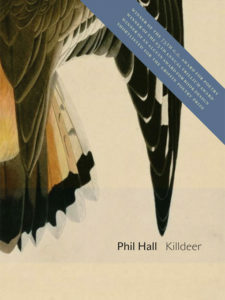 Killdeer takes the essay and blows it into smithereens, presenting fragments of thought and argument in beautiful bite-sized pieces. 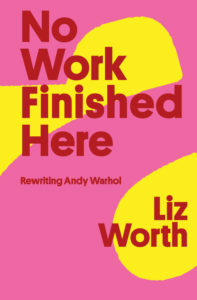 It dives into language and writing in a way that is straightforward enough to feel good, clear, and digestible, but hides infinite layers of meaning, suggestion, and discussion between its lines. As well, it strikes an amazing balance between providing the reader with information and insights, and leaving room for the reader to provide their own. 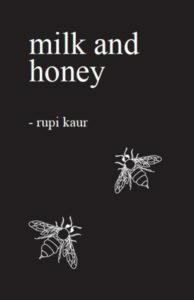 rupi kaur’s debut book of poetry has taken the book world by storm: her tiny poems and accompanying drawings rush straight to the heart of anyone and everyone. Her poems are brief but her imagery is larger than life, giving her readers the space to visualize their own chaos in a rare state of elegance. Most of all, the poems feel inescapably true, like having your own diary read back to you more beautifully than you could ever have imagined. Among students, Margaret Atwood may be best known for her novels, but this early collection of poetry is one of my favourite books of her work. The poems are quick and simple to read because of her direct language, but make you want to read them over and over again for new details, new secrets. They are personal, almost too personal, addressing a “you” or talking about a “we” the reader doesn’t know, but leave a crack just wide enough for us, the eavesdropper, to feel like a cherished fly on the wall in intimate moments from the mundane to the extraordinary. This is another wonderful book that exists completely outside of expectations: the long poem “Howl” breaks conventions of poetry in content and style, at once eloquent, evocative, and vulgar (at the time of its publication, “Howl” was banned for obscenity, and the publishers were arrested on obscenity charges). Through repetition, through simultaneously beautiful and vulgar imagery, the confessional “breath-length” lines tell the naked, honest story of a scared generation of youth in a tumultuous time in American history. 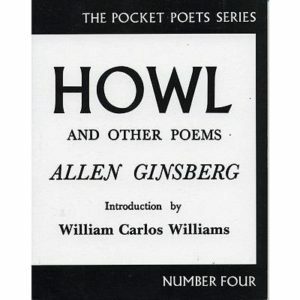 Ginsberg’s impassioned performance of “Howl” highlights the unique appeal of this historic poem and generation of poets: he chants the words like a mantra, for freedom of speech, for youth, for the future. “Howl,” and much of the Beat generation’s poetry, is a perfect entry point into poetry because it is completely unconventional: they were nothing like the generation before them, nor any after. This book is an excellent example of how poetry doesn’t need to be all about the poet. From the very first glance, Fauxccasional Poems exists completely outside of what you might think poetry should–or even can–be. 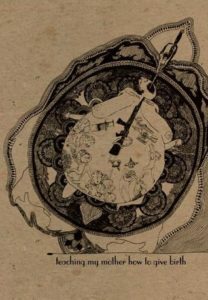 The cover looks like that of a satire magazine, and the poems themselves completely fake: odes and commemorations for events that never happened. 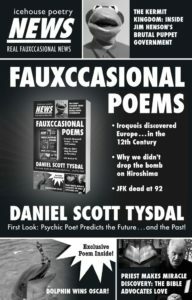 And each poem feels new and refreshing, like it’s from a different speaker altogether, a different voice: there is never a dull moment, from the reign of the first philosopher king once envisioned by Plato, to the twelfth-century Iroquois colonization of Europe, to Barack Obama’s career as a poet. While obviously compassion and understanding are vital at every stage of life, high school provides a unique opportunity to help teach people how to find compassion and understanding for people, events, and situations that are very different from their own. One of the best ways to start that process is by understanding what other experiences are out there, which is one of the cornerstones of the #weneeddiversebooks campaign. 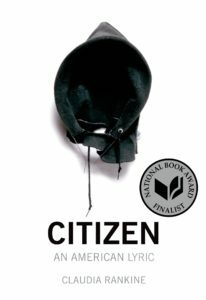 “Claudia Rankine’s bold new book recounts mounting racial aggressions in ongoing encounters in twenty-first-century daily life and in the media. Some of these encounters are slights, seemingly slips of the tongue, and some are intentional offensives in the classroom, at the supermarket, at home, on the tennis court with Serena Williams and the soccer field with Zinedine Zidane, online, on TV—everywhere, all the time.” Whether poetry or not, Citizen is an essential book for every bookshelf, including readers in their late teens. This debut collection of poetry is all about not giving in. Although the poems may feel challenging at times, the very essence and energy of the book encourage the reader to persist. 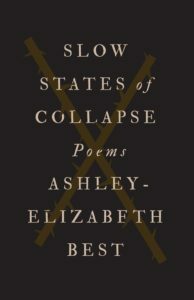 Built around the challenges of day-to-day life, Slow States of Collapse refuses to back down, inspiring strength, confidence, and perseverance. Tell is the most emotionally taxing book I’ve included on this list: it dives into the brutal murder of a teenage girl in 1997. But this is still the world we live in, where teenage girls die, and teenage girls know this. The poetry itself is sparse and beautiful, evocative, deceptively simple; the book examines in part the poet’s remembrances of girlhood, the unease of adolescence, and the circumstances that enable some to pass through unhurt. I remember being delighted to find out that Jabberwocky was poetry — it was nonsense, I thought, just gibberish for fun. 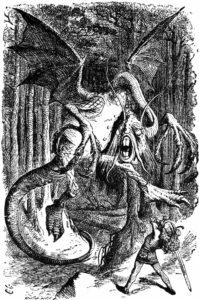 But deconstructing the poetry of Jabberwocky was delightful: breaking down the rhythm of it, discussing how we drew meaning from made up words. Jabberwocky is an excellent choice for someone who just wants to have fun with what poetry can do when it doesn’t even need to make sense. Popularized by Beyoncé’s Lemonade, Warsan Shire’s poetry is passionate, raw, and unapologetic. Her small, direct poems break down the vastness of family, identity, love, loss, and more in a poignant strike to the heart. Sylvia Plath’s poetry can be difficult for anyone: it is dense, highly emotional without ever being clear about which emotion, or how, or why, or in relation to whom. It is almost as though Plath doesn’t even want an audience. 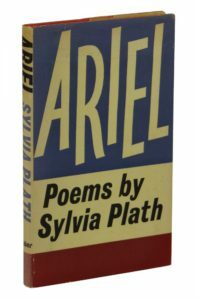 I have found that when I read Plath’s poetry, I need to suspend my desire to understand–so, trying to teach Ariel would probably be close to impossible. But if a reader can pick up the book and set aside the need for clarity, that is where I think Ariel can find a good home: because although I rarely understand what I read when I read her poetry, I feel Sylvia Plath in every word, and she is a comfort to 15-year-old me, a source of solidarity I can’t quite put my finger on but do not want to let go of. Traveling to Northern Ontario and across the Great Lakes, Passage is a poetic voyage through divorce, family violence, legacy of colonization, and the affirmation of a new sexuality and gender. In Passage, Benaway — a Two-Spirited Trans poet of Anishinaabe and Métis descent — seeks to reconcile herself to the land, the history of her ancestors, and her separation from her partner and family by invoking the beauty and power of her ancestral waterways. 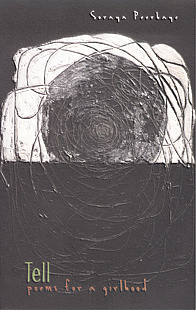 Her writing is sparse, short lines and short stanzas that drift easiliy into the reader’s consciousness, where they settle heavily and expand upon themselves, interact with each other.